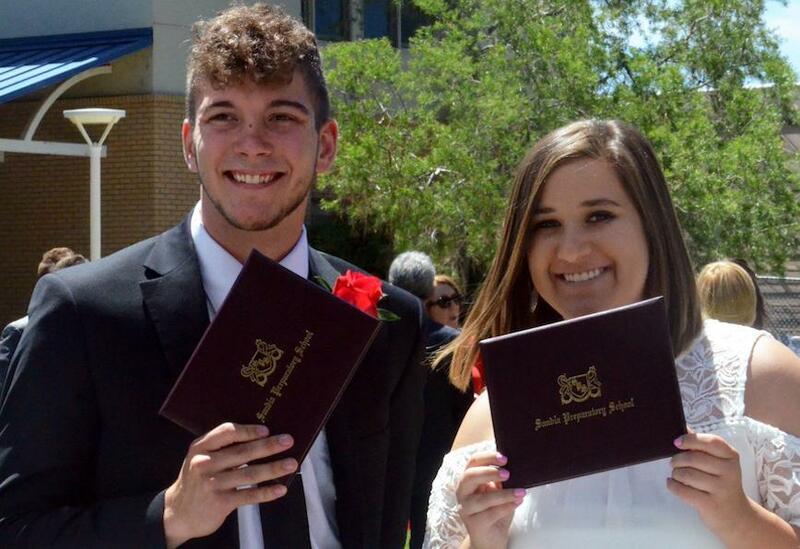 We invite you to celebrate your graduate, and at the same time provide a permanent gift to Sandia Prep by participating in the School’s Graduation Endowment. This special endowment program enables a family to honor its graduate by making a gift in his or her name which when pooled with other gifts and allowed to grow, will ensure a quality education for future Sandia Prep students. A family gift honoring your graduate is an innovative way to honor your son or daughter while supporting the school. Parents, grandparents, aunts and uncles, other relatives, and friends can contribute a family total of $500 in honor of a graduate. Your graduate will be permanently recognized on a custom mosaic tile that is displayed in the Russell Student Center. Complete the form below to honor your grad.